Easy Popcorn Shrimp Recipe - Recipe for popcorn lover, this is so easy and tasty recipe that you will never forget this taste. 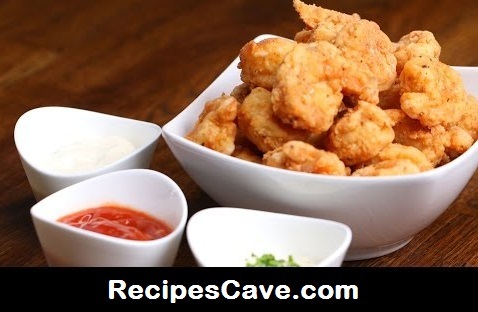 Follow these simple steps and cook Easy Popcorn Shrimp Recipe. Here is what you'll need for Serving 3-4 people. Heat oil at 350°F/180°C. Fry shrimp for a few minutes until golden brown and cooked through. Your Easy Popcorn Shrimp Recipe is ready to taste.